How Can You Pay For Medical Costs after a Car Accident? Most states require drivers to carry insurance that will cover medical-related expenses in the event of an accident. In Florida, the minimum amount of coverage is $10,000 for medical expenses as well as $10,000 for property damage. However, the minimum amount is often not enough to cover the full cost of medical care. For instance, even in 2013, the average claim for medical costs after a car accident was $15,443, and costs for severe injuries can get into the hundreds of thousands. Paying for medical costs can be overwhelming, especially if your auto insurance doesn’t cover everything. 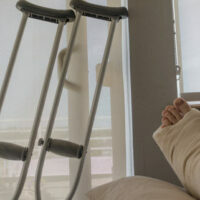 This is where a personal injury lawyer can help significantly. Hiring a personal injury lawyer is as much about peace of mind as it is about financial compensation. With rising costs of medical care, working with an attorney as soon as possible following an accident can help you cover the total costs of any treatment and repair damaged vehicles. Although the statute of limitations on personal injury cases in Florida is four years, it is best practice to get an attorney involved as early as possible, while the event is fresh in your mind and it’s easier to put together the facts of what happened. This is especially important in Florida because of our state’s comparative fault statute. This allows courts to assign part of the blame to both parties in an accident, if one of the party acted in a way that could be construed as negligent. If you make a personal injury claim against someone and they try to argue that you were also negligent, it may reduce the total compensation you receive, even if you win your case. Using only some of these documents may leave a part of the story missing, so hiring the right personal injury lawyer can make a huge difference in your case. For example, utilizing only accident records and witness statements gives no indication of the amount of medical expenses caused by the accident. Getting an experienced attorney involved early will help them understand your unique situation and how to use the facts to accurately represent your case. Bundza & Rodriguez, P.A has years of experience dealing with personal injury cases in Daytona Beach. If you’ve been injured, we’ll take the time to understand your unique needs and build a strong case for your claim. If you’re not sure whether you should make a personal injury claim, contact us for a consultation and we’ll provide advice on the best way to move forward. In addition to car accident cases, we work with a number of different types of personal injury, including medical malpractice, animal bites and other injuries, wrongful death and sexual assault.